Big Hit Entertainment, South Korea’s rising giant in the entertainment industry, will license Mediabox’s entire suite of software solutions including Mediabox-PA for product approvals, Mediabox-RM for contract management, and Mediabox-DAM for digital asset management and style guide delivery. Sony Interactive Entertainment, Inc.’s Japan division has followed its SONY sister divisions worldwide by signing on to license Mediabox-PA, integratred with Mediabox-RM, to streamline their product approvals workflow, contract management and royalty tracking. MGA ENTERTAINMENT adds Mediabox-RM essentials to their current package in order to manage contracts and integrate with Mediabox-PA. UNDER ARMOUR is ending the year with a brand-new Mediabox-PA and Mediabox-RM integration. Two industry leading products which work great as individuals but flourish as an integration. POKEMON opted to upgrade their Mediabox package to include Mediabox-RM after sole use of Mediabox-PA. Although Mediabox-PA and Mediabox-RM work great as stand alone products, an integration between the two only enhances the features of each, thus streamlining the approvals process even further. THE NATIONAL GALLERY has now partnered with MyMediabox, using Mediabox-PA for product approvals and Mediabox-DAM for Digital Asset Management, just in time to experience our newest edition of Mediabox-DAM with a complete facelift. ON ENTERTAINMENT has joined the team and is now using THE industry standard, Mediabox-PA for product approvals and Mediabox-DAM for digital asset management. FUNRISE is officially a MyMediabox partner, having chosen the industry leading, Mediabox-PA for their product approvals. GRUPO CHESPIRITO has elected MyMediabox to service them with the entire Mediabox suite for online product approvals workflow, digital asset management and contracts, rights and royalty management. We are extremely excited to work with one of our newest partners. THE WIGGLES have officially upgraded their Mediabox package to include Mediabox-PA for product approvals in addition to the existing Mediabox-DAM for digital asset management which was set in place. CARDINAL GAMES officially closes a contract with MyMediabox for the coveted Mediabox-PA for product approvals. LINE FRIENDS has upgraded their Mediabox package to include Mediabox-DAM for digital asset management. LINE PLUS licenses Mediabox-DAM for digital asset management. SEKIGUCHI has become one of our newest partners by adding an integration of Mediabox-PA for product approvals and Mediabox-RM for contracts, rights and royalty management. Although both products are sold separately, they work very well when integrated with one another and Sekiguchi has recognized the benefit of having both systems work together. MAURICIO DE SOUSA has opted for the entire Mediabox suite for online product approvals workflow, digital asset management and contracts, rights and royalty management. We are extremely excited to work with one of our newest partners. POCKET WATCH chooses the MyMediabox Suite for online product approvals workflow, digital asset management and contracts, rights and royalty management. THE BRAND LIAISON selects Mediabox-PA to streamline their product approval workflow. COPYRIGHTS GROUP selects Mediabox-PA to streamline their product approval workflow. CPLG selects Mediabox-PA to streamline their product approval workflow. PARAMOUNT PROMOTIONS selects Mediabox-PA to streamline their product approval workflow. SPIN MASTER selects Mediabox-PA to streamline their product approval workflow. CINTAMANI entrusts Mediabox-DAM to manage their digital assets. IMG WORLDWIDE chooses Mediabox-PA and Mediabox-DAM to streamline their product approval workflow and manage their digital assets for select FIAT CHRYSLER AMERICA (FCA) brands. CINTAMANI entrusts Mediabox-PA to streamline their product approval workflow. ROBLOX entrusts Mediabox-PA and Mediabox-DAM to streamline their product approval workflow and manage their digital assets. NHL chooses Mediabox-PA to streamline their product approval workflow. INK GROUP chooses the MyMediabox Suite for online product approvals workflow, digital asset management and contracts, rights and royalty management. NHK ENTERPRISES selects Mediabox-PA to streamline their product approval workflow. HATTEN EDUCATION AB entrusts Mediabox-PA and Mediabox-RM to streamline their product approval workflow and solve their contract and royalties management needs. CJ E&M CORPORATION adds Mediabox-DAM and Mediabox-RM to manage their digital assets and solve their contract and royalties’ management needs, thus completing the Mediabox suite. MAGIC LIGHT PICTURES chooses Mediabox-RM to solve their contract and royalties’ management needs. 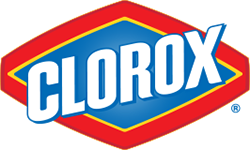 CLOROX chooses Mediabox-PA to streamline their product approval workflow. HATTEN EDUCATION AB adds Mediabox-DAM to manage and protect their digital assets. TY INC. chooses Mediabox-PA to manage their product approval workflow. ONE ANIMATION PTE LTD adds Mediabox-DAM to manage and protect their digital assets. THE WIGGLES selects Mediabox-DAM to manage and protect their digital assets. SALTKRKAN chooses Mediabox-PA to streamline their approval workflow. ELLATION (CRUNCHY ROLL) selects Mediabox-PA to streamline their product approval workflow. TOCA BOCA selects Mediabox-PA and Mediabox-RM to streamline their product approval workflow and solve their contract and royalties management needs. D-RIGHTS INC. chooses Mediabox-PA to streamline their product approval workflow. FIBA selects Mediabox-PA to streamline their product approval workflow. TULIPOP selects Mediabox-PA and Mediabox-RM to streamline their product approval workflow and solve their contract and royalties’ management needs. NBA PROPERTIES selects Mediabox-PA to streamline their product approval workflow. ALPHA GROUP entrusts Mediabox-PA to streamline their product approval workflow. THE POKEMON COMPANY selects Mediabox-PA to streamline their product approval workflow. MICROSOFT CORPORATION – HALO chooses Mediabox-PA and Mediabox-RM to streamline their product approval workflow and solve their contract and royalties’ management needs. ANIMACCORD LTD (MASHABEAR) selects Mediabox-RM to solve their contract and royalties’ management needs. VIZ MEDIA EUROPE selects Mediabox-PA to streamline their product approval workflow. LEVEL 5 ABBY selects Mediabox-PA to streamline their product approval workflow. Existing Mediabox customer, BETHESDA SOFTWORKS, adds Mediabox-RM to solve their contract and royalties’ management needs. Existing Mediabox customer NATIONAL WILDLIFE FEDERATION adds Mediabox-PA to improve efficiency of the product approvals workflow. LINE FRIENDS selects Mediabox-PA to streamline their product approval workflow. The ARTS & ENTERTAINMENT NETWORK chooses Mediabox-PA and Mediabox-DAM to manage their product approvals and digital assets/style guide delivery. Existing Mediabox customer THE EMOJI COMPANY adds Mediabox-RM to solve their contract and royalties management needs. Existing Mediabox customer TELEVISA adds Mediabox-RM for contract, rights and royalties management to round out their suite of Mediabox products. TV TOKYO chooses Mediabox-RM for their contract, rights and royalties management. PERNOD RICARD selects the Mediabox Suite to streamline their product approvals, digital asset management, and contract, rights and royalties management. GLOBAL GENESIS GROUP chooses Mediabox-RM for their contract, rights and royalties management. CJ E&M selects Mediabox-PA for product approvals. The EMOJI COMPANY chooses Mediabox-PA for product approvals and Mediabox-DAM for digital asset management/style guide delivery. TURNER BROADCASTING selects Mediabox-PA and Mediabox-DAM to manage product approvals and style guide delivery for Cartoon Network brand licensing. BANDAI NAMCO chooses Mediabox-PA for product approvals. Existing Mediabox customer HERSHEYS adds Mediabox-DAM to manage digital assets and deliver style guides. BIGFACE chooses Mediabox-PA to streamline their product approvals workflow. PACIFIC CYCLE selects Mediabox-RM for contract and royalties management and Mediabox-PA for product approvals. CREATA chooses the Mediabox Suite of hosted software for product approvals, digital asset management and contract, rights and royalties management. WILDWORKS selects both Mediabox-PA and Mediabox-DAM to solve their product approval workflow and digital asset management needs. CONCACAF chooses Mediabox-DAM for their digital asset management and style guide delivery. WORD OF WEB selects Mediabox-PA and Mediabox-DAM for product approval and digital asset management. SUNRIGHTS chooses Mediabox-PA as their product approval workflow management solution. ONE ANIMATION selects Mediabox-PA and Mediabox-RM to manage their product approvals and contract/royalties management. BAVARIA FILM chooses Mediabox-PA to manage their product approvals and Mediabox-DAM for their digital asset management and style guide delivery. UNIVERSAL ORLANDO chooses Mediabox-PA and Mediabox-DAM for product approvals and digital asset management. MICROSOFT STUDIOS chooses Mediabox-PA for product approvals to manage its licensing projects in the gaming sector. Current MyMediabox customer, the NATIONAL BASKETBALL ASSOCIATION adds a second version of Mediabox-PA, dedicated to Global Merchandising projects. Current MyMediabox customer SABAN BRANDS adds an additional version of Mediabox-DAM. Current MyMediabox customer, SONY PICTURES ENTERTAINMENT adds additional instances of Mediabox-DAM and Mediabox-PA.
Current MyMediabox customer, ENTERTAINMENT ONE LIMITED UK adds Mediabox-DAM for digital asset management & delivery. BETHESDA SOFTWORKS chooses the MyMediabox Suite for online product approvals workflow, digital asset management and deal memo management. Current MyMediabox customer, STRIKER ENTERTAINMENT adds Mediabox-RM for contract, rights and royalty management. GENIUS BRANDS selects the MyMediabox Suite for online rights management, product approvals workflow, and digital asset management. The NBA selects Mediabox-PA for online approvals workflow. NAUTICA selects Mediabox-PA for online product approvals workflow. PARAMOUNT PICTURES chooses MyMediabox for online product approvals workflow and digital asset management. DATISA (WeMatch) chooses MyMediabox for online product approvals workflow and digital asset management. PLAYLIFE MEDIA, INC. selects the MyMediabox Suite for online product approvals workflow, digital asset management and deal memo management. CCA and B selects the MyMediabox Suite for online rights management, product approvals workflow, and digital asset management. FRIENDLY FAMILY PRODUCTIONS, LLC selects the MyMediabox Suite for online product approvals workflow, digital asset management and deal memo management. JOCKEY selects MyMediabox for online product approvals workflow and digital asset management. CREATOR’S DOCK selects MyMediabox for online product approvals workflow. SPLASH ENTERTAINMENT selects the MyMediabox Suite for online product approvals workflow, digital asset management and deal memo management. ACAMAR FILMS selects MyMediabox for online product approvals workflow and digital asset management. STRIKER ENTERTAINMENT selects the MyMediabox Suite for online product approvals workflow, digital asset management and deal memo management. FIBA selects MyMediabox for online product approvals workflow. IMPERIAL WAR MUSEUMS selects MyMediabox for online product approvals workflow and digital asset management. ASPCA selects MyMediabox for online product approvals workflow. ELECTRONIC ARTS, INC. selects MyMediabox for online product approvals workflow and digital asset management. BRUCE LEE ENTERPRISES selects MyMediabox for online product approvals workflow and digital asset management. ITV WORLDWIDE selects MyMediabox for online product approvals workflow and digital asset management. OUTFIT 7 LIMITED selects MyMediabox for online product approvals workflow and digital asset management. MGA ENTERTAINMENT selects MyMediabox for online product approvals workflow and digital asset management. 4K MEDIA selects MyMediabox for online product approvals workflow and digital asset management. FRUIT OF THE LOOM selects MyMediabox for online product approvals workflow and digital asset management. FLUID WORLD selects MyMediabox for online product approvals workflow and digital asset management. BAD BOY BRANDS selects MyMediabox for online product approvals workflow and digital asset management. SELTZER LICENSING GROUP selects MyMediabox for online product approvals workflow. LICENSING WORKS! selects the MyMediabox Suite for online product approvals workflow, digital asset management and deal memo management. GLOBAL PURSUIT selects the MyMediabox Suite for online product approvals workflow, digital asset management and deal memo management. ENTERTAINMENT ONE LIMITED UK has chosen Mediabox-PA for online products approvals workflow. GLOBAL MERCHANDISING SERVICES selects the MyMediabox Suite for online product approvals workflow, digital asset management and deal memo management. 4 LICENSING CORPORATION selects the MyMediabox Suite for online product approvals workflow, digital asset management and deal memo management. CLIQUE HERE, INC. chooses the MyMediabox Suite for online product approvals workflow, digital asset management and deal memo management. SMC ENTERTAINMENT GROUP selects the MyMediabox Suite for online product approvals workflow, digital asset management and deal memo management. DREAMWORKS ANIMATIONS has chosen Mediabox-PA for online products approvals workflow. CUPCAKE DIGITAL selects Mediabox-PA and Mediabox-DAM for online product approvals workflow and digital asset management. BIG IDEAS PRODUCTION DEVELOPMENT selects the MyMediabox Suite for online product approvals workflow, digital asset management and deal memo management. SHINE GROUP selects Mediabox-PA and Mediabox-DAM for online product approvals workflow and digital asset management. DISCOVERY COMMUNICATIONS has chosen Mediabox-PA for online product approvals workflow. EARTHBOUND LLC has chosen Mediabox-PA for online product approvals workflow. KIDZBOP selects Mediabox-PA and Mediabox-DAM, for online product approvals workflow and digital asset management & delivery. ELMER’S PRODUCTS, INC. has chosen Mediabox-PA for online product approvals workflow. ESTABLISHED BRANDS has chosen Mediabox-PA for online product approvals workflow. FREMANTLE MEDIA has chosen Mediabox-DAM for digital asset management & delivery. UNIVISION selects Mediabox-PA and Mediabox-DAM, for online product approvals workflow and digital asset management & delivery. D-RIGHTS has chosen Mediabox-PA for online product approvals in conjunction with Mediabox-DM for deal memo management. THE COLLECTIVE selects Mediabox-PA and Mediabox-DAM for online product approvals workflow and digital asset management. STUDIO 100 has chosen Mediabox-PA for online product approvals, this in addition to their use of Mediabox-DAM for digital asset management. OUT OF THE BLUE ENTERPRISES selects Mediabox-PA and Mediabox-DAM for online product approvals workflow and digital asset management. CAPCOM chooses Mediabox-DAM for digital asset management, this is in addition to their use of Mediabox-PA for product approvals workflow. THE AIRD GROUP selects Mediabox-PA and Mediabox-DAM for online product approvals workflow and digital asset management. THE CHEROKEE GROUP chooses Mediabox-PA for online product approvals workflow. STARDOLL chooses Mediabox-PA for online product approvals workflow with licensees worldwide. AMERICAN GREETINGS PROPERTIES selects Mediabox-PA and Mediabox-DAM for online product approvals workflow and digital asset management and delivery. DORI MEDIA GROUP selects Mediabox-DAM to host, organize, and deliver their digital assets including videos, high resolution images, and other media files. EXIM LICENSING selects Mediabox-PA and Mediabox-DAM for online product approvals workflow and digital asset management and delivery. MAGIC LIGHT PICTURES chooses Mediabox-PA for online product approvals workflow. ACTIVISION selects Mediabox-PA and Mediabox-DAM for online product approvals workflow and digital asset management and delivery. JOHN WAYNE ENTERPRISES adds Mediabox-PA for online product approvals workflow with licensees, this is in addition to their use of Mediabox-DAM for creative assets delivery. NATIONAL WILDLIFE FEDERATION selects Mediabox-DAM software for Digital Asset Management, Content Delivery and Digital High Resolution Image Catalog. SANRIO USA launches a second Mediabox-PA system for new properties. UBISOFT chooses Mediabox-DAM for Digital Asset Management and Delivery. JD SPORTS FASHION has licensed Mediabox-PA for online product approvals workflow between licensees and manufacturers with an integration of RoyaltyZones contract management application. ASPCA has licensed Mediabox-PA and Mediabox-DAM for online product approvals workflow and digital asset management.